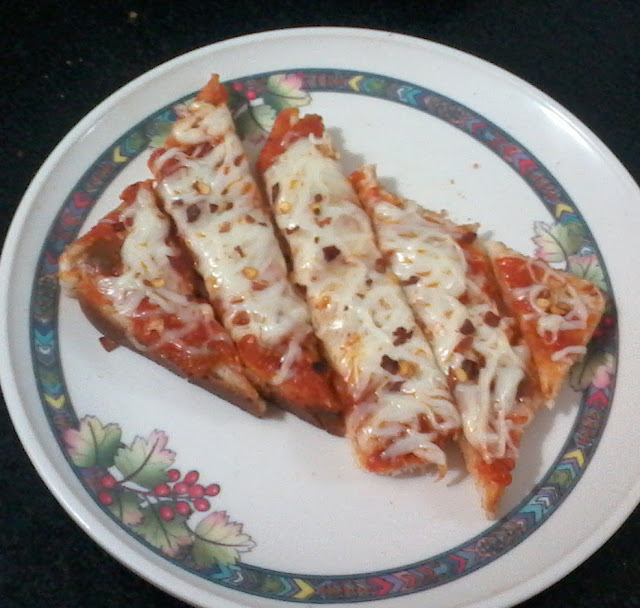 Recipe by Naiya Sheth: In earlier recipes, we made the different style of serving pizzas. And it's time for crispy and delicious but easy homemade recipe of Pizza sticks. As the name indicates it is a crispy bite size recipe. It can be served as the starter or anytime snack also. and if pizza sauce is ready it is very quick and easy to make this recipe. Even any type of topping can be used as per the choice. 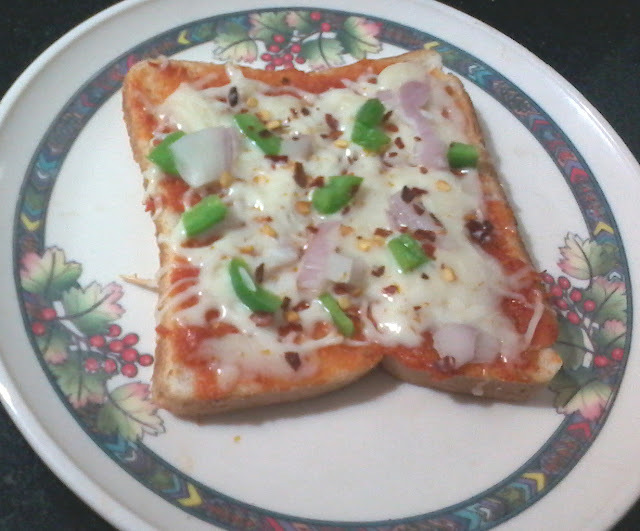 So, let's try this mouthwatering recipe of Pizza Stick today. Toast pieces of bread in toaster till light brown/slight crisp. Place a bread slice on non-stick tavi - griddle and then spread some pizza sauce on it. Now cover with half of grated process cheese and grated pizza cheese. Sprinkle some chilli flacks and oregano over it and at last garnish with choice of toppings. I used onion and capsicum but pineapple, sweet corn even olives can be used. Cover it and cook on medium flame until cheese melts. Remove when ready, repeat the same for remaining. Cut and serve hot and delicious Pizza sticks with any fresh juice or appetiser.